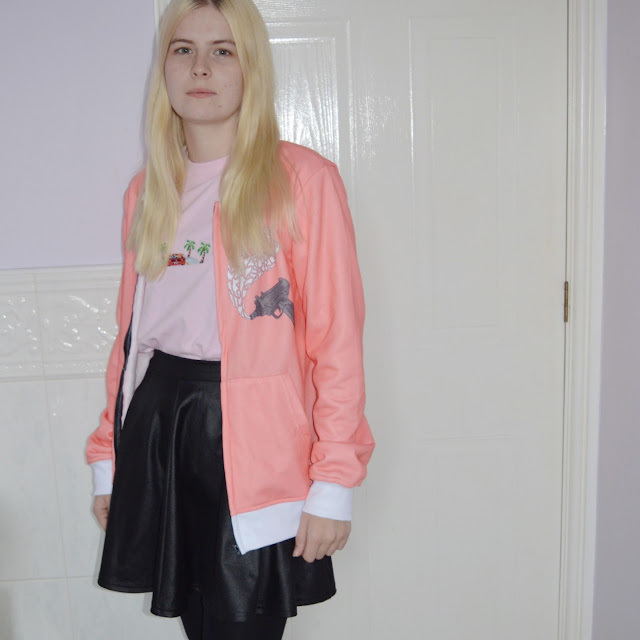 Today's post is this lovely outfit which features pieces from Agora Clothing, YBDAA & New Look. 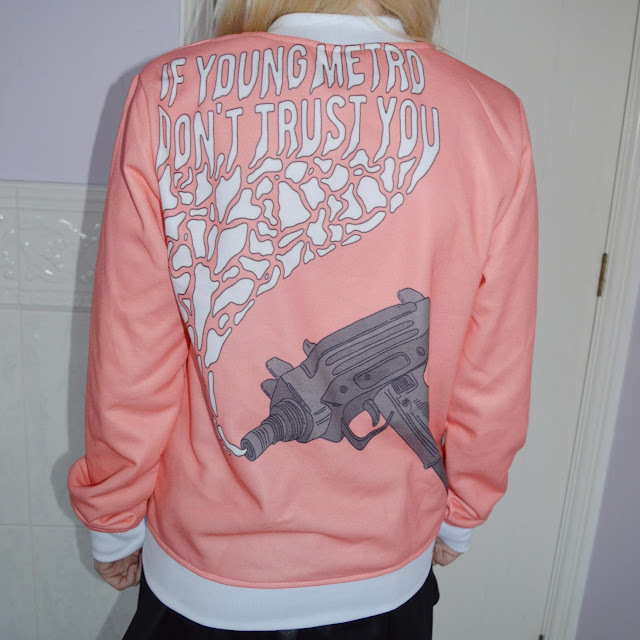 First up we have this bomber style jacket from YBDAA. 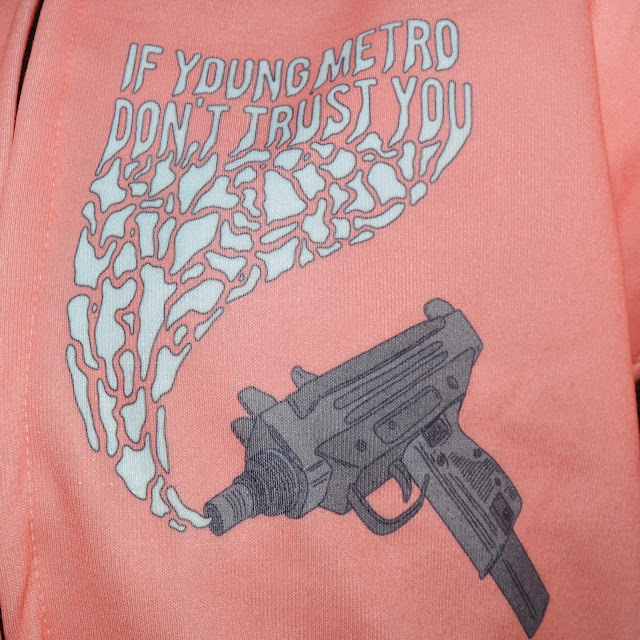 This jacket features a gun print and the text says If Young Metro Don't Trust You which I believe is a producer tag that Kanye West, Future and Drake have all referenced. The colour is gorgeous and I'm really happy with this piece as it is so unique. Next up we have this light pink T-Shirt from Agora Clothing. It is a long sleeve tee but you cannot tell in this outfit. 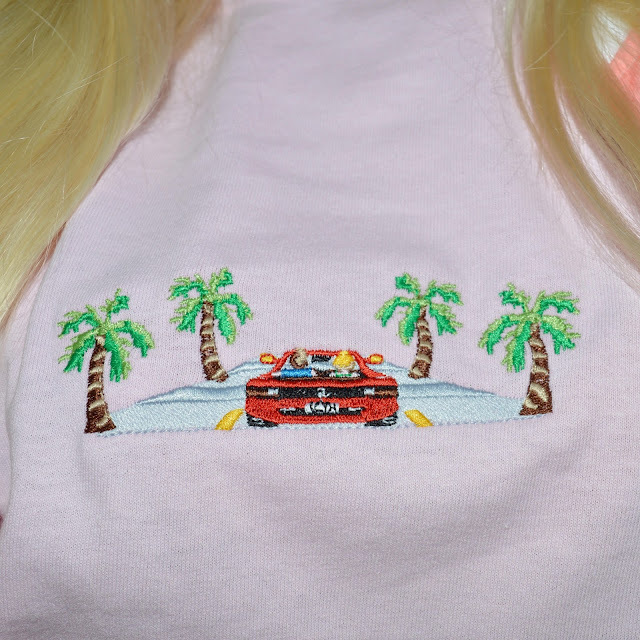 The embroidered print is super cute as it is in this cute 8-bit style and is something I can see myself wearing a lot underneath various jackets. 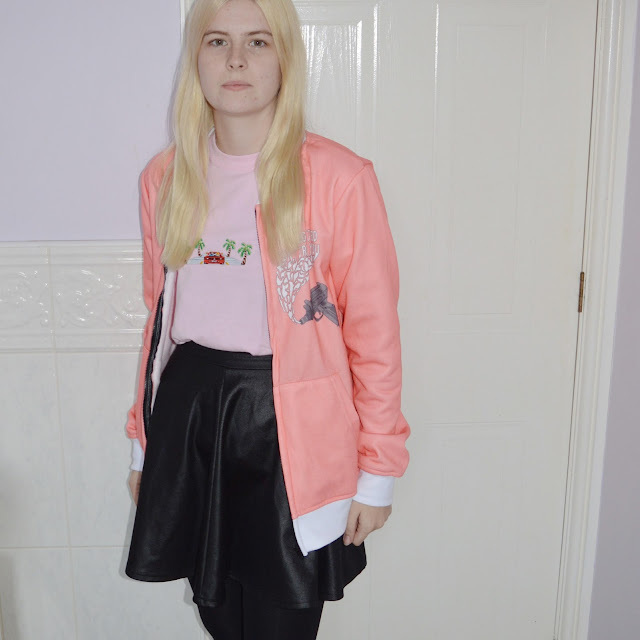 The last piece is of course my favourite skirt from New Look. If you have been a regular reader of my blog for the last few years you will definitely recognise this piece as I have featured it a lot! It just goes with everything. I am also giving away another of these jackets over on Instagram. 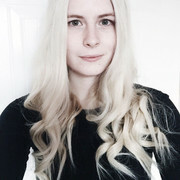 Go check it out here and let me know if you have entered it in the comments below.